Hi, Friends! 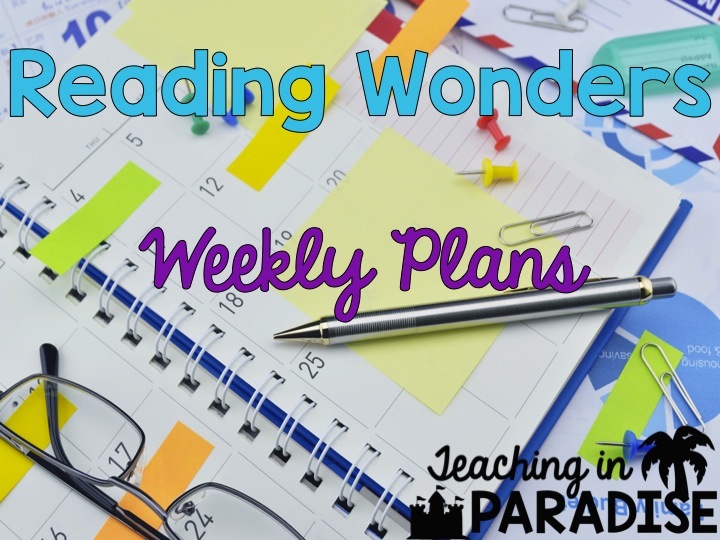 Last year, I blogged about how I organized all of my Reading Wonders leveled readers and resources….Many people requested for me to share my weekly plans that I used to teach the series. Today, I am finally back to share that with you all! If you'd like to go back and check out that organization post, you can find that here. When we first started using this program..I was just so overwhelmed by everything that needed to be done. The plans in the TE completely stressed me out because there was NO WAY I could do all of that in that amount of time. I'd like to think that I'm a pretty tech savvy kind of gal, but the online component also overwhelmed me. There was so much offered online, but I felt that things were just all over the place. 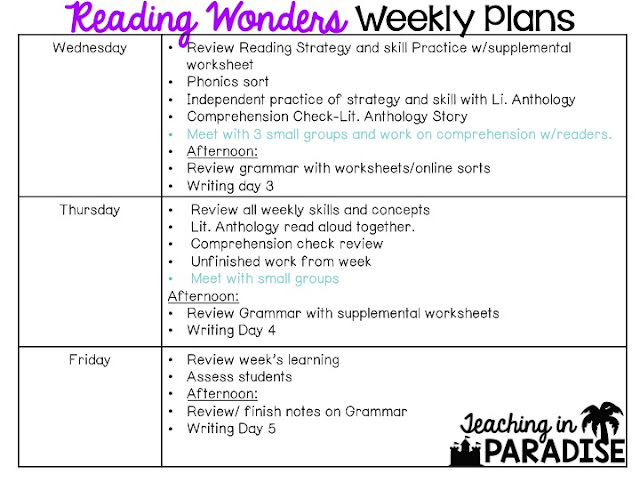 To help myself out, I ended up creating resources for myself to use to teach each week. 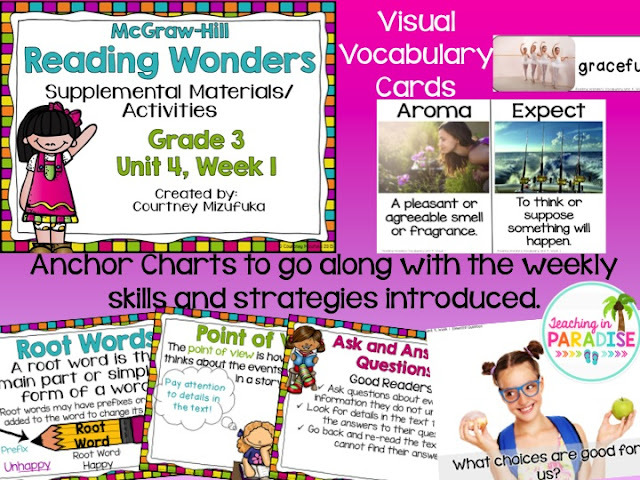 I created visual anchor charts so my students could refer back to the skills and strategies that are taught throughout the week. 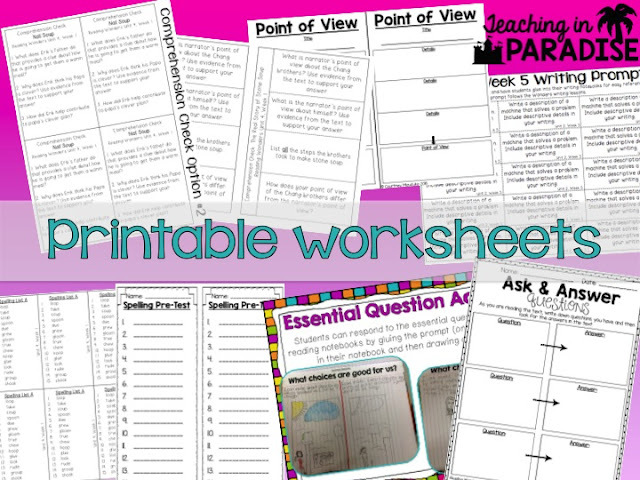 Also included in these packs are various worksheets to use throughout the week. Creating these resources really helped me to know and understand what I was teaching each week. It forced me to read all the stories and understand the content I was teaching. I ended up creating a generic skeleton for my weekly plans. I mapped it out days 1-5 and listed all the things I would do each week. Comprehension checks are included in my weekly Wonders packets. 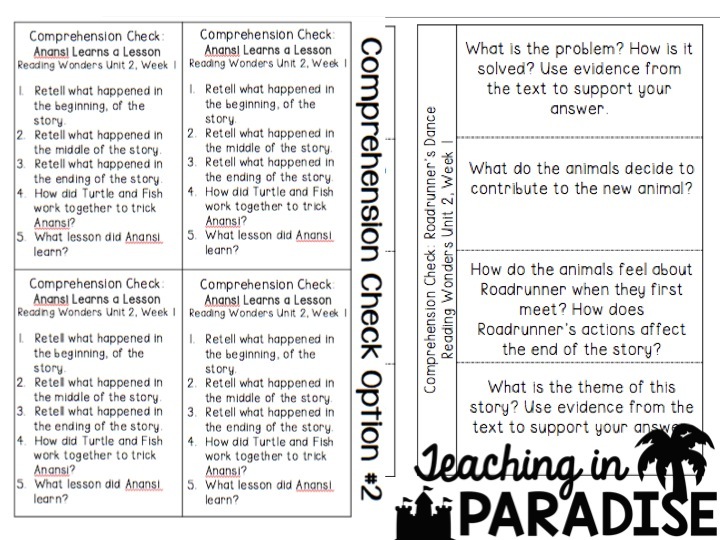 There are comprehension questions for the Reading Writing Workshop story as well as the Literature Anthology story. Practicing writing constructed response answers truly help my students with their writing and to prepare them for question 21 on the weekly assessment. For planning purposes, it was really easy to stick to my schedule and pull out the resources I created. I would stick my weekly plans in a sheet protector and use the same plans week to week. In my planner, I'd just write down specific page numbers or activities that I would be doing for that week. In the afternoons from 12:00-1:00 I teach writing and grammar. 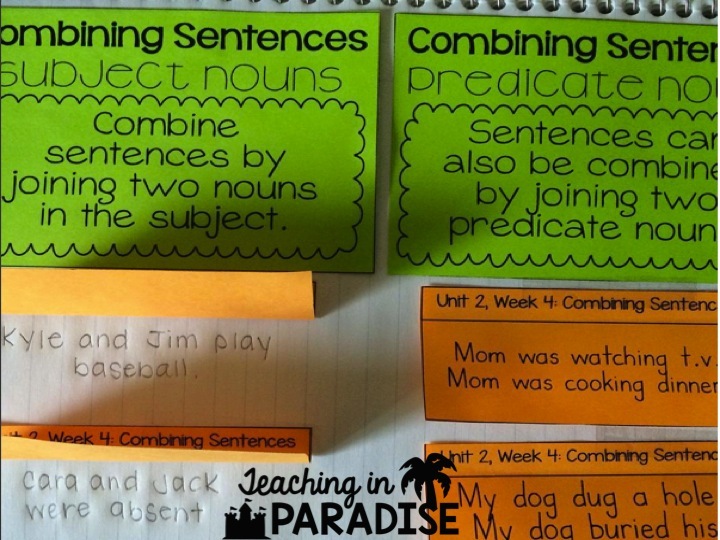 I use interactive notebook pages (included in my Wonders units) when introducing new grammar skills. I hope this post was helpful to you. If you're new to the Wonders program, give it some time. It can definitely be very overwhelming at first, but it'll get better once you've established routines, procedures and become a little more familiar with it. Hi I love your "skeleton" plans. Do you also sell them on TeacherPayTeacher? The resources are amazing. Are your plans available on tpt?? Are the supplemental activities and plans available on your TpT store? 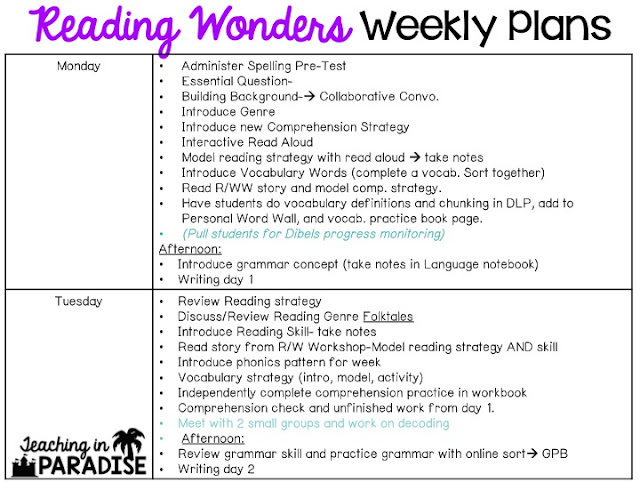 They look amazing, and I am looking for Wonders activities to supplement throughout the week!